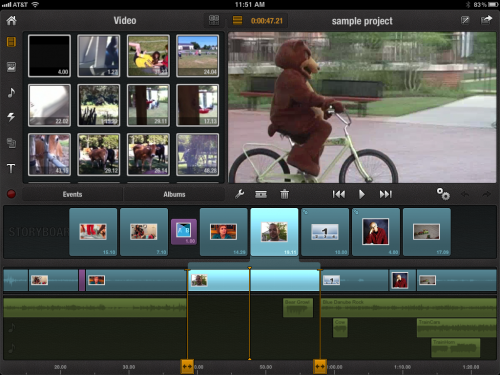 Thursday, film and video post-production software company Avid released Avid Studio for iPad. Currently available for $4.99 (introductory price, soon to be $7.99), it’s a clear competitor to Apple’s iMovie for iOS (which is also available on iPhone). This mimics Avid’s “big boy” competition in the world of fully-fledged professional post software on the desktop. 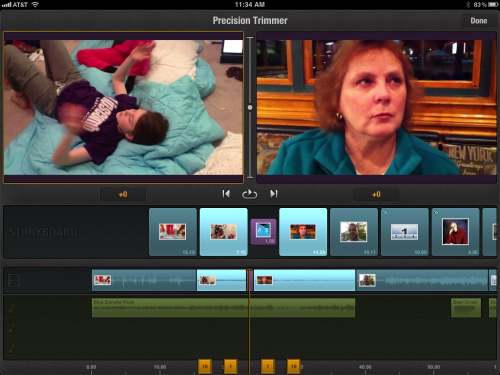 Since the release of FCPX, many editors have gone back to their Avid roots with programs like Avid’s Media Composer. The goal here is clear: show existing Apple customers how great Avid’s products are, and hope they’ll flock to their more expensive products. And I have to say, as someone who has kind of stood in defense of FCPX, Avid has made a pretty good case. The only drawback with this strategy is that Avid’s companion, Avid Studio for desktop, is for the PC. While this little app is amazing on the iPad (and blows iMovie away in a number of areas), it’s a far leap to Media Composer from here. The touch interface is super-simple to pick up and use — very understandable and explorable. An HTML-y, Avid-esque looking, sparse help document is included, but I found it easier to just explore — the mark of a well-designed app. It’s super pretty, too. On the left is the media library, which Avid builds by scouring your device for photos, videos, and music. More than just the standard camera roll access, it also includes transitions, motion effects (with drag and drop asset placeholders à la Motion — kinda mindblowing on the iPad), cinema style sound effects, and text elements. My only beef with the library is every time you add music, photos, or video to your device, Avid wants to rebuild the library, which takes a few minutes, even for small changes.On the right is a preview window showing either the media element you’re looking at or the edit from your timeline, depending on what’s currently selected. 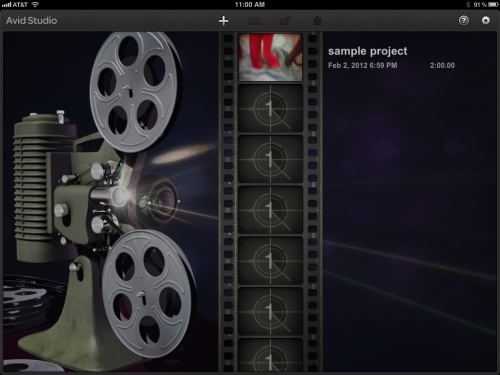 Avid Studio features a timeline like iMovie for iOS, but with three audio tracks (not including the audio associated with any video clips). This means you can have four audio tracks playing simultaneously — great for music, sound effects, music transitions/editing, etc. 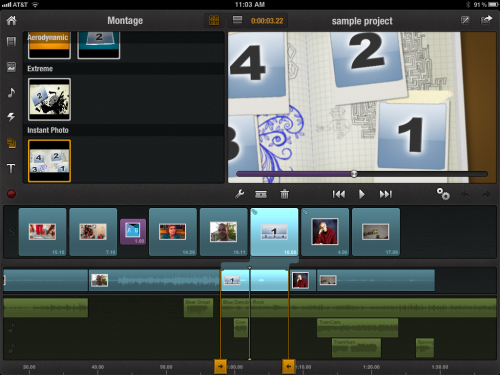 Also with the timeline is a Storyboard track that shows your clips in equal-sized squares. I guess that’s useful for when you’re zoomed in on the timeline; timeline zooms in and out with pinch, but Storyboard doesn’t. The Storyboard track also allows you to drop one clip on another, either replacing it or compositing it with a picture-in-picture effect. While editing, in and outs felt a little clunky at first. The inclusion of a razor tool makes fine edits a lot easier. This is a huge plus over iMovie for iPad, where I’ve found it pretty much impossible to make even simple edits to music. The preview window allows you to set defined in and out points in your library clips before dragging them to the timeline. A precision trimming window gives you a dual-up display, showing you the clips on either side of the cut you’re tweaking. Each video clip has individual volume controls including fade in and fade out settings. Also each clip has setting for fitting non-widescreen media into Avid Studio’s default 16:9 aspect ratio — pillarbox, crop, or stretch. Still images are basically treated as video clips. Settings allow you to do manual Ken-Burns-style effects. All video can be played back full screen. When my iPad was connected to my Airport Express, it played the audio in sync with my screen through my stereo speakers. I’d be interested to see if video would play to an external monitor as well as over an Apple TV. If so, kinda mind-blowing. When you’re done, export to the camera roll (as 480p, 540p, or 720p), email, Facebook, YouTube, or to iTunes or iCloud as an Avid Studio (PC) project, though I’m curious how one would retrieve a file from iCloud on the PC. This tasty little app at this tiny price-point may go a long way to convincing Apple users that Avid cares about editors. It should at least cause some of the most die-hard FCP users to look at Media Composer as an alternative to their FCPX frustrations. Avid was long the reigning champ for film post-production, and still holds a huge stronghold on the post market. 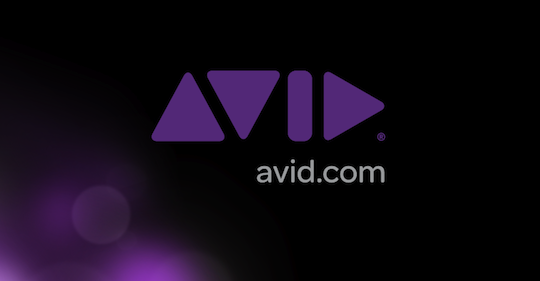 This awesome little app shows that Avid is up for the tussle, and they’re not going away any time soon. Grab it today at the link below before the end of the month to take advantage of the introductory price.